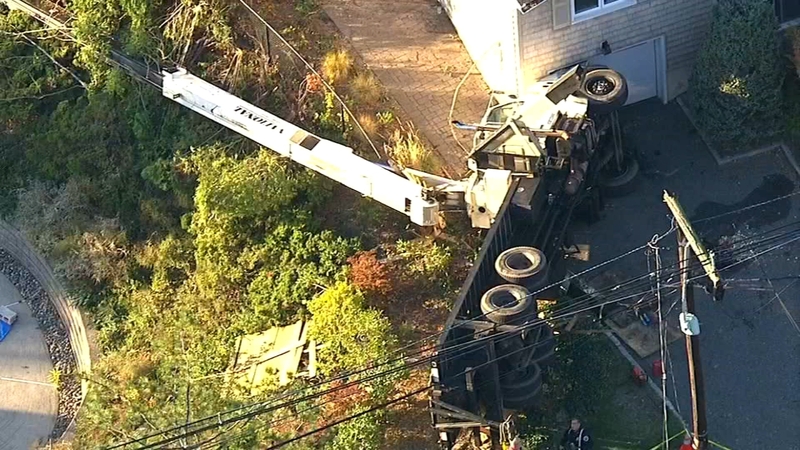 WEST ORANGE, New Jersey (WABC) -- A large crane toppled over in a New Jersey neighborhood Friday afternoon, injuring one person. The incident happened just after 4 .m. at a house on St. Cloud Avenue in West Orange. A spokeswoman for West Orange said the crane was being used by a tree removal company, and the operator was trapped inside. He has since been rescued. The operator suffered a broken leg and large cut on his back. The crane took down several primary power lines when it fell over. There are no other reports of injuries.